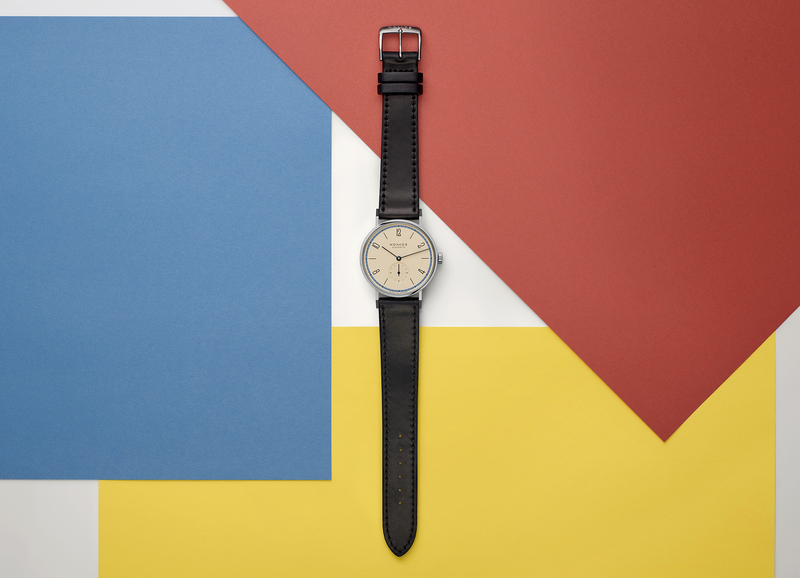 Today, Nomos Glashütte announced that they will be launching a new themed set of watches within their square-shaped Tetra collection at Baselworld 2014 next month. 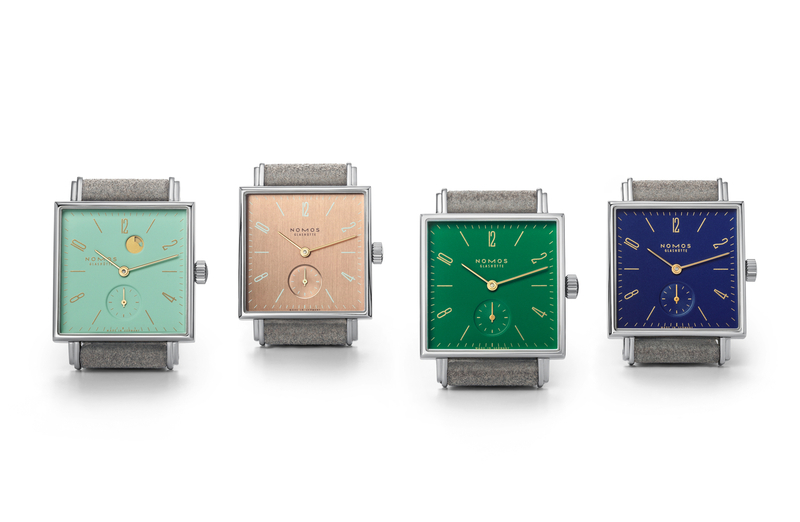 The Tetra Berlin collection will come in four new dial colors: bold turquoise (lacquered), auspicious gold (galvanized), baize green (lacquered) and midnight blue (lacquered). All models come with gold-plated hands and are fitted with a grey velour strap. 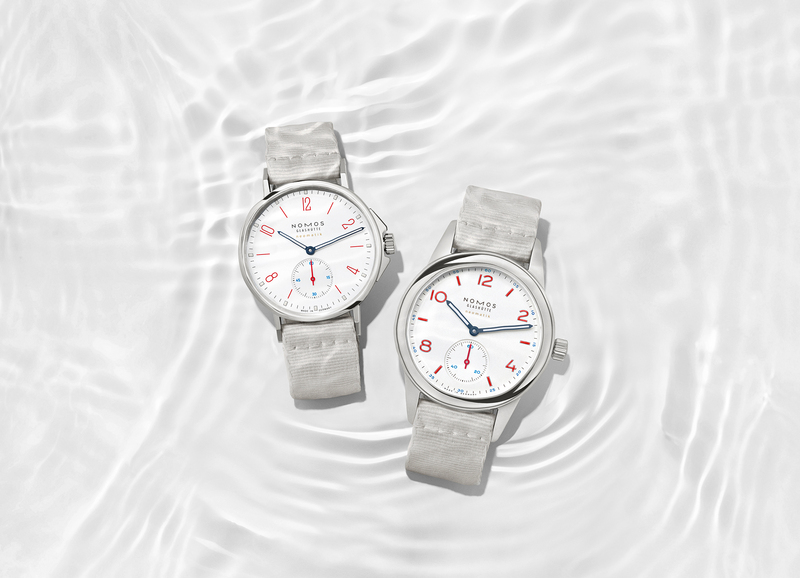 Three of the Tetra models are equipped with hand wound NOMOS Alpha calibers. 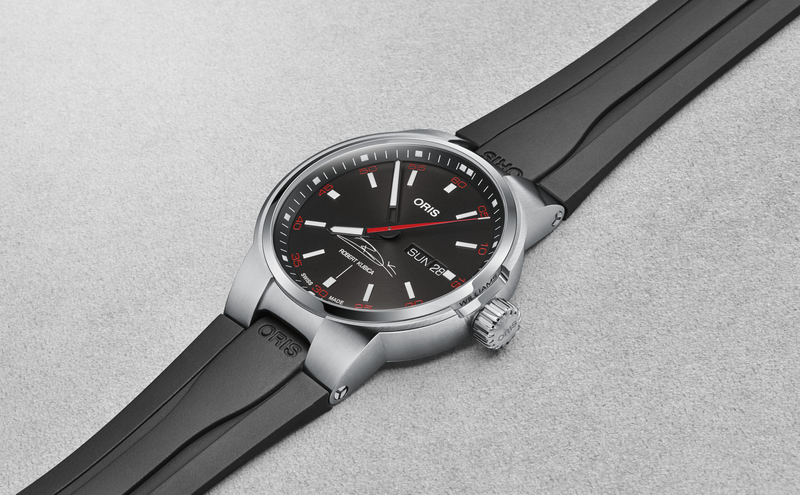 The Kleene model, however, has a power reserve indicator, and so it is powered by caliber DUW 4301.